Join the Tintilla Family for a truly enjoyable Long Lunch on the deck here at Tintilla Estate looking over our beautiful vineyard in Pokolbin. 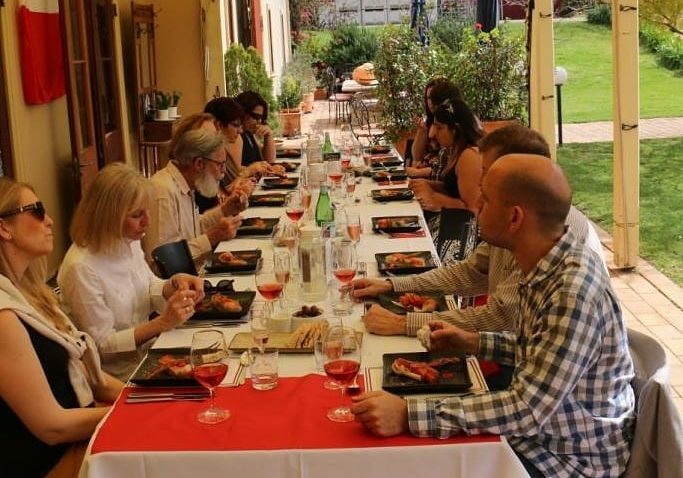 This Luncheon will bring the French variety Tintilla wines complemented with fresh produce, locally sourced French Provincial menu. Once again with Chef Matt Dillow, one of the Hunter’s leading chefs will be creating this gourmet menu for our long lunch. Celebrate the start of a glorious autumn here at Tintilla Estate’s Vineyard. We would love to have you attend, the cost of $110.00 this includes a 4 course meal with Tintilla wine to match. It will start at 12 noon and go till 4pm, so why not put a group together and make a weekend of it. phone us on 6574 7093 or Email us.